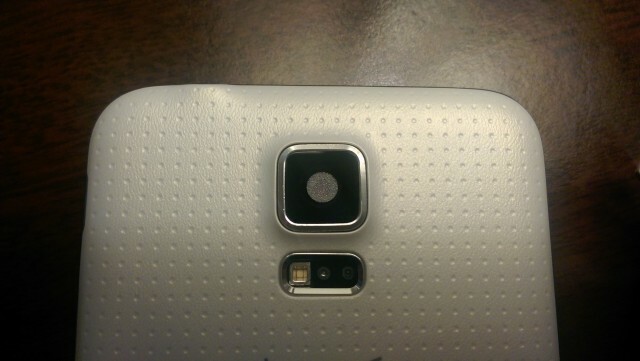 Ever since it was announced people have been asking- how waterproof is the Galaxy S5? As seen in our full review, its weather resistance is one of its best new features. Or at least it’s supposed to be. 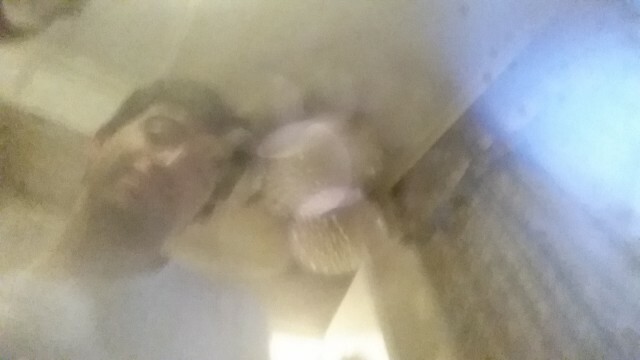 This morning I woke up to find my front and rear camera had some odd bubbles forming all over each lens. That doesn’t look good. At all. So we tested a picture. And a screencap of the screen for safe measure. Samsung describes the S5 as “resistant to sweat, rain, liquids, sand and dust, so your phone is protected for any activity and situation,” but the technical designation is IP67 Certification. That means water damage should not be possible in liquid immersion up to 1 meter. I’m the first to admit that waterproof and water resistant are two different things, and I would normally never purposefully put my phone in harms way, but IP67 designates that this phone should not face water damage under these circumstances. Testing these types of things is why we do these reviews. The Galaxy S5 is very good about reminding you close your charger door snugly and make sure your battery cover is snapped on COMPLETELY before continuing. This is a message you shouldn’t dismiss (although it allows you to) because the reminder is a good one. I can say with confidence that during both water tests my phone back cover and battery port were completely secured. 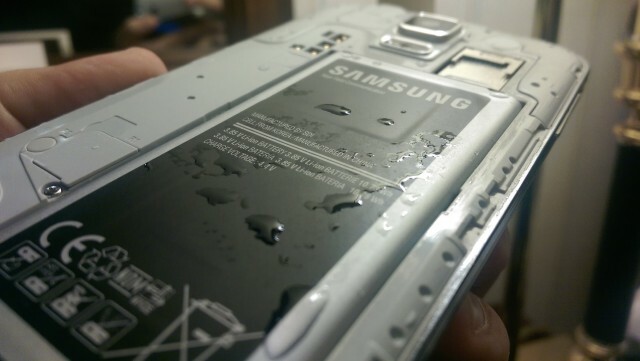 Somehow, though, water snuck its way into my battery. After cleaning it off, snapping the cover back on, and firing up the camera… the drama continued. Twenty minutes later the camera begun loading again, but not without bubbletastic cloudiness ensuing. So now I’m at a crossroads. This seems like a problem that will not correct itself. It also seems like a hard case to prove the water damage didn’t happen due to fault of my own. I could have separated the battery cover and gone deep sea diving for all they know. I joke of course, but these types of water tests have been popping up all over the web, with some people even going swimming with the device. I’m not exactly sure how this happened or how the story will end, but I felt it was a development worth sharing. 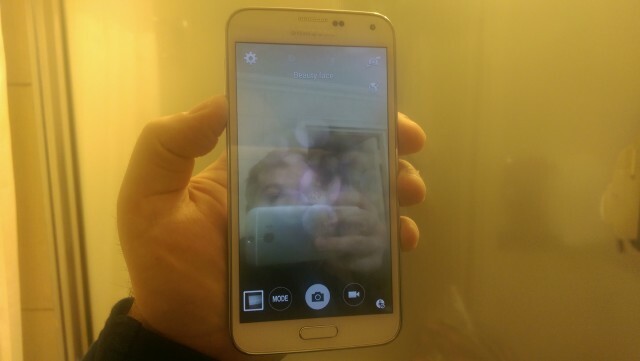 I want to point out that this has been MY experience but in no way am I claiming it’s indicative of a Galaxy S5 problem as a whole. 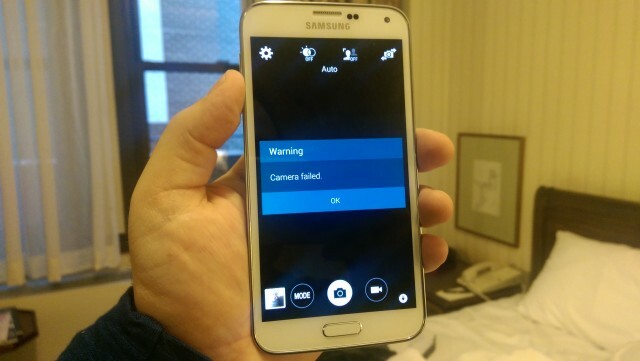 Have any other Galaxy S5 owners had similar situations? 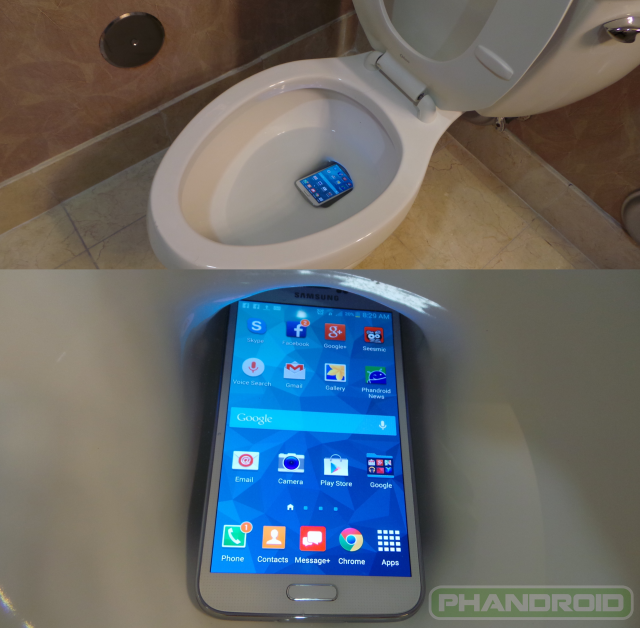 Has your Galaxy S5 been put to the water test? 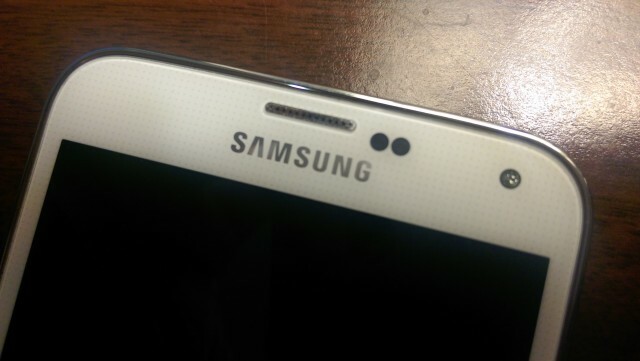 Head on over the Galaxy S5 Forums to share your stories!